Acquiring digital goods and services customers requires effort and investment. You don’t want customers to buy once and move on. Instead, you want recurring revenue, whether that’s in the form of frequent purchases or subscriptions. The recipe for success with digital goods is simple. Acquire customers and keep them, ideally for years. 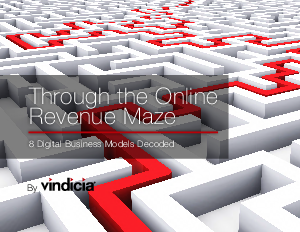 As the leader in subscription and recurring revenue billing for digital goods, Vindicia understands how important it is to choose the right business model. Having processed more than 143 million credit card transactions and $6 billion in payments, we’ve learned a few things about subscription and recurring revenue business models. The Vindicia team has distilled some of the essential details about different business models into this e-book.